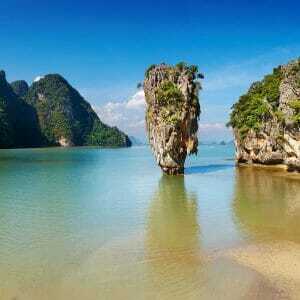 James Bond island is surely the must see tourist attraction in Phang Nga Bay National Park. 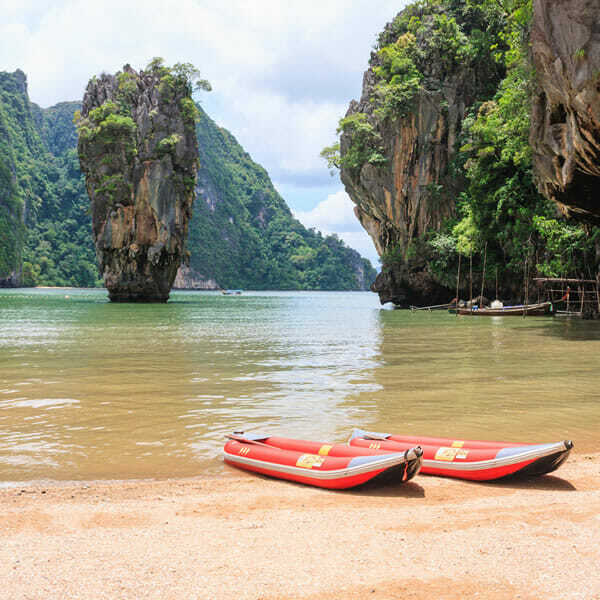 James bond island tour by speedboat will also drive you to experience impressive canoeing passing through caves and sightseeing amazing cliffs and rocks formations typical of the Phang Nga bay. Phang Nga bay itself is a must see in the regions of south of Thailand and includes one of the most wonderful landscapes you will ever witness! 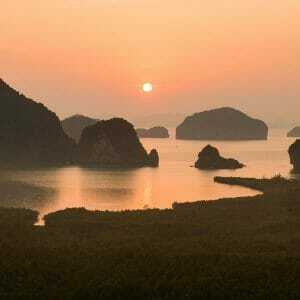 With James Bond island by Speed boat tours you will be able to discover one of Krabi’s best tours. 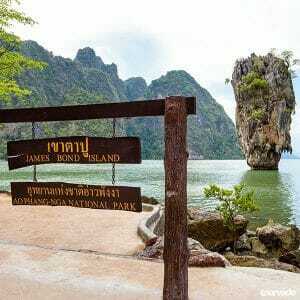 James Bond Island is where the James Bond movie Man with The Golden Gun Was filmed in 1974, it is located in the heart of Phang Nga National Park which was even used to stage and shoot helicopter scenes during the movie Jurassic Park. 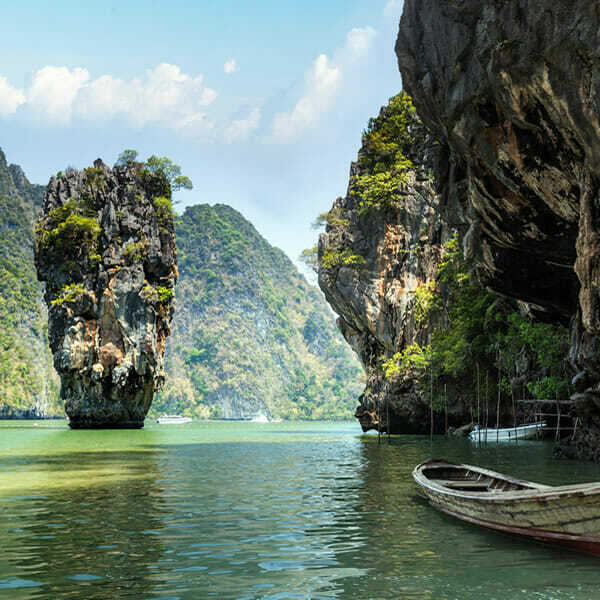 James Bond island tour brings you where secret lagoons open into the rocks to meet the amazing marvellous caves, this trip is surely recommended to get a really amazing picture of Thailand nature and bring home fantastic memories. James Bond Island Day Tour from Krabi by Speedboat give you great enjoyment of many inclusions such as transports from you departing Hotel to the pier and back, soft drinks, coffee and tea, drinking water ,buffet lunch, natural park fees! 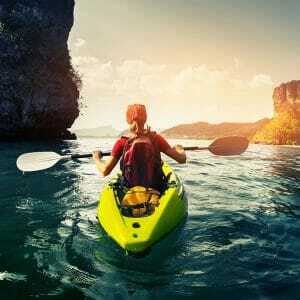 Life jacket, tour guide, insurance. Meeting our tour guide at your Hotel lobby we start the journey and transfer to the Pier for briefing and departure. We will be passing through mangrove forests to reach the open bay and Raman Waterfalls and Suwannakuha Cave Temple to relax and sightseeing. 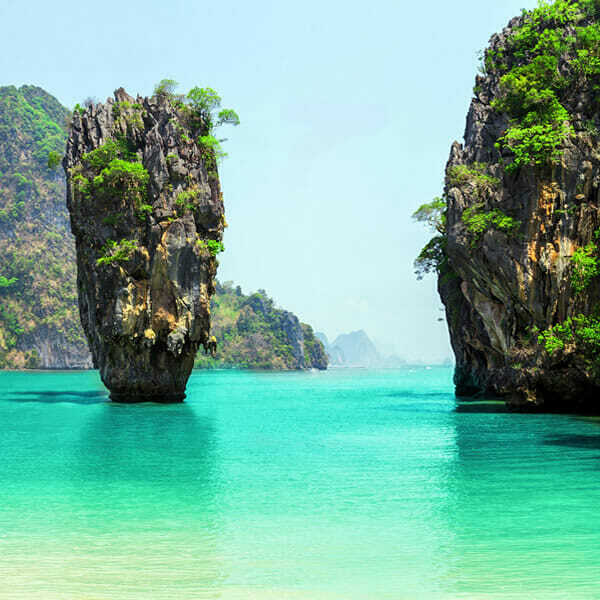 After visiting Lung Khai Fruits Gardens you will than get on board again cause we ahead to James Bond Island (Koh Tapu and Ping Gun) for great free time and sightseeing. At lunch time we will reach Panyee Island for our Thai buffet Lunch at the local restaurant, you will be able to visit also the local market. 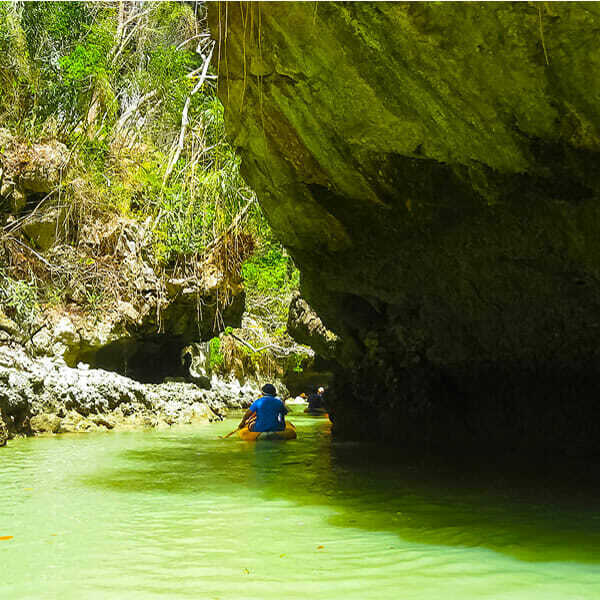 We will be canoeing at Tumlod caves to look at the stalactites and stalagmites and to show you and sightsee and explore the hidden lagoons. Returning to Krabi and at the end of the tour the guide will organize your transfer back to your Hotel.